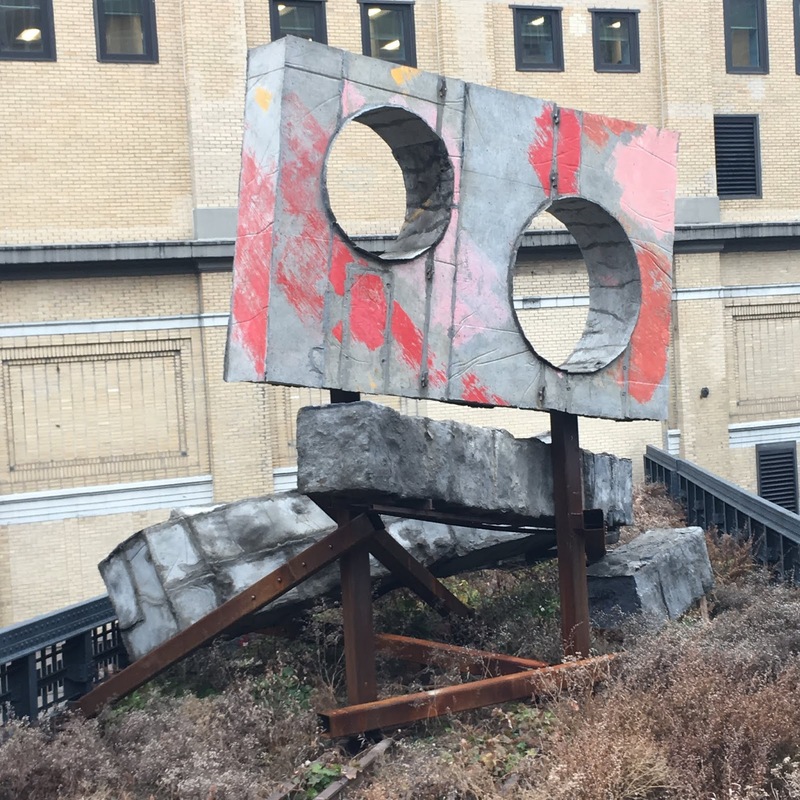 Phyllida Barlow's recent commission, prop, the first artwork ever installed on the Northern Spur Preserve at 16th Street on the High Line. 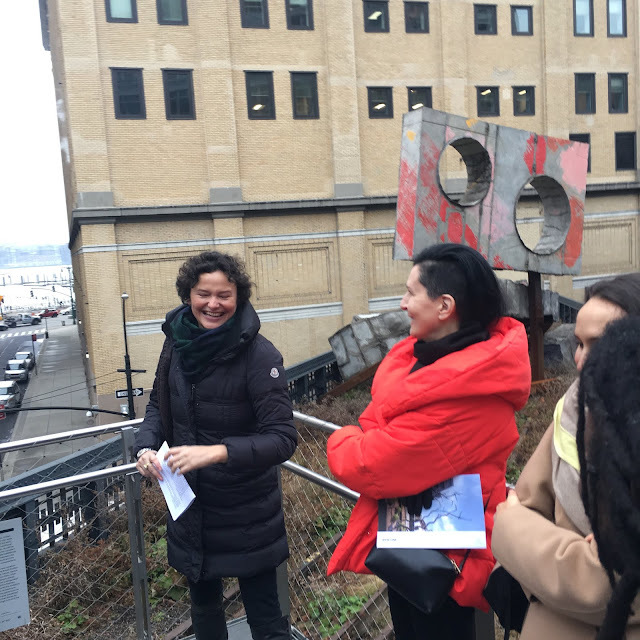 Last Saturday Cecilia Alemani, the Donald R. Mullen, Jr. Director & Chief Curator of High Line Art, led a walkthrough of the Phyllida Barlow exhibition, "tilt", currently on view at Hauser & Wirth on 22nd Street in Chelsea. 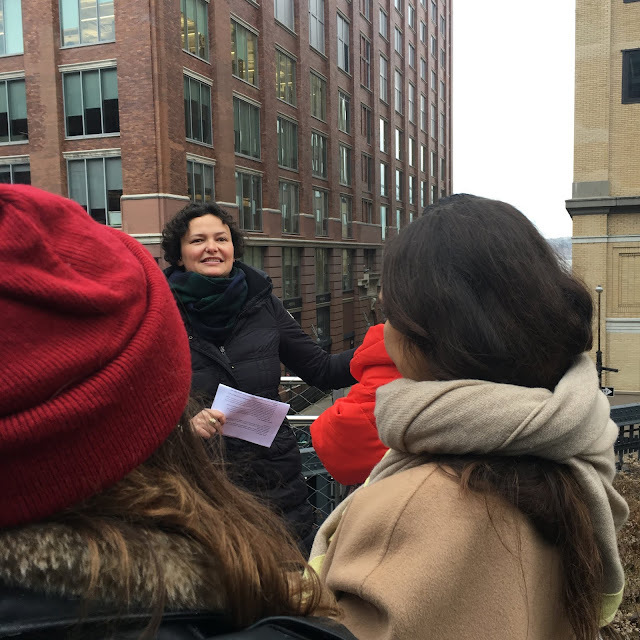 The group met at the site of Barlow's commission, "prop", on the the High Line at 16th Street then moved on to the gallery. 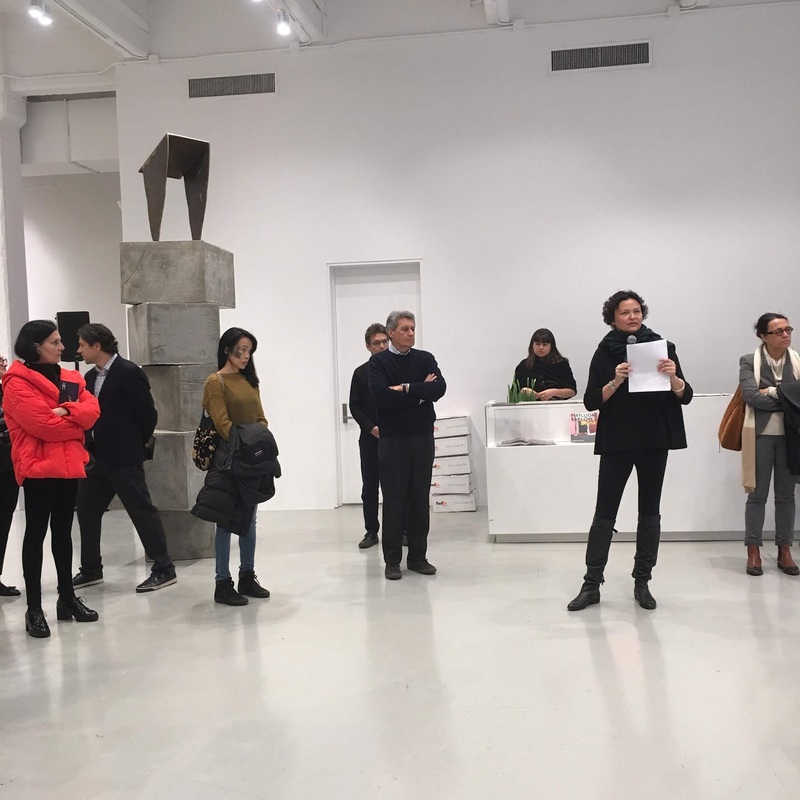 Below you will find a photo essay of the exhibition on view through December 22. "Prop" will remain on view on the High Line Through March 2019. Cecilia Alemani address the crowd. 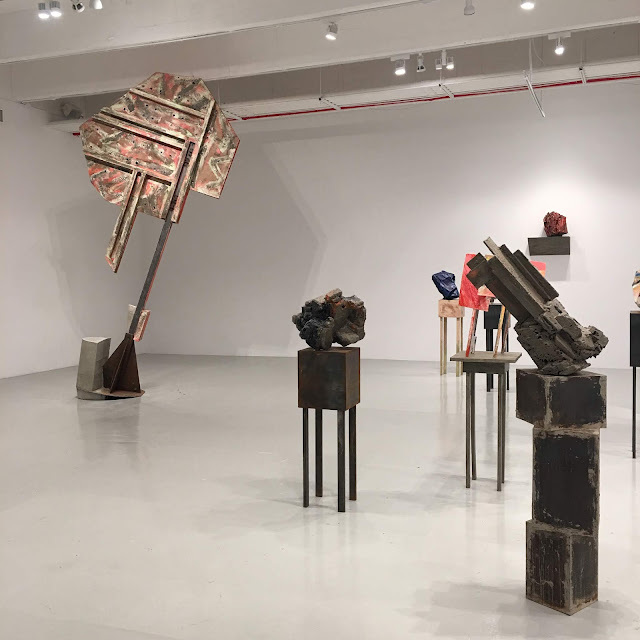 For more than fifty years, British artist Phyllida Barlow has created sculptures and large-scale installations using a direct and intuitive process of making. 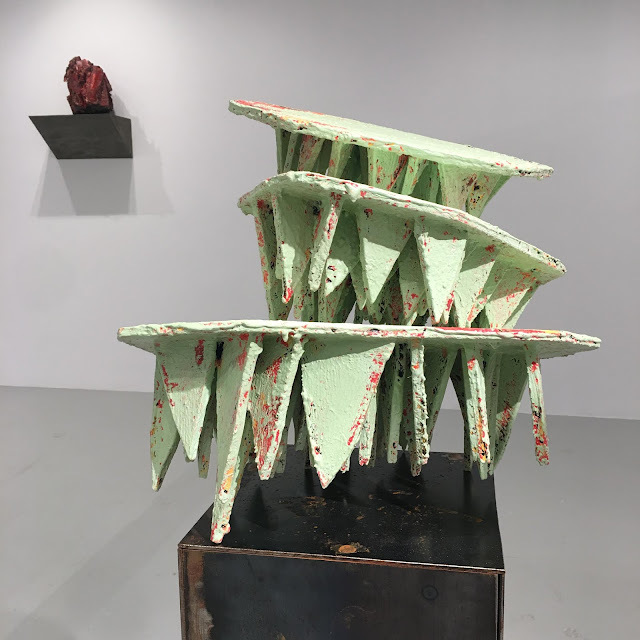 She transforms humble, readily available materials through layering, accumulation, and juxtaposition, often drawing inspiration from her urban surroundings to reference construction debris, architecture, signs, fences, and discarded objects. Following Barlow’s critically acclaimed presentation at the British Pavilion for the 2017 Venice Biennale, Hauser & Wirth is pleased to present ‘tilt,’ an exhibition featuring recent large-scale works installed for the first time alongside more than a dozen smaller sculptures. Together, the works on view encourage an intimate encounter between object and viewer, continuing a career-long exploration into the ways in which sculpture can dissolve boundaries between realms of experience. 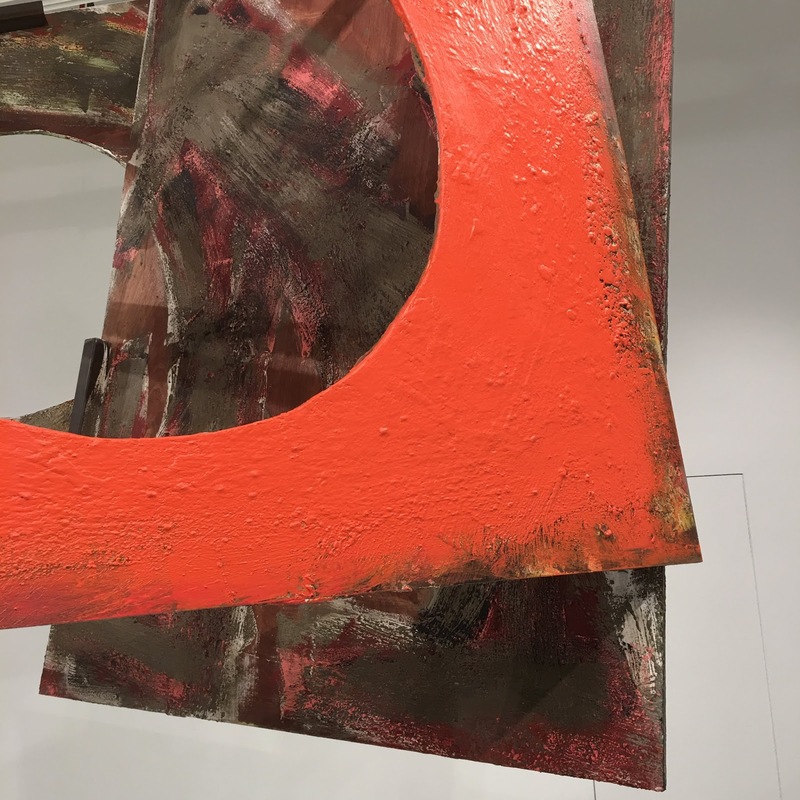 Employing a visual vocabulary developed over the past five decades, Barlow’s works are often painted in vibrant colors, the seams of their construction left visible, revealing the means of their making. 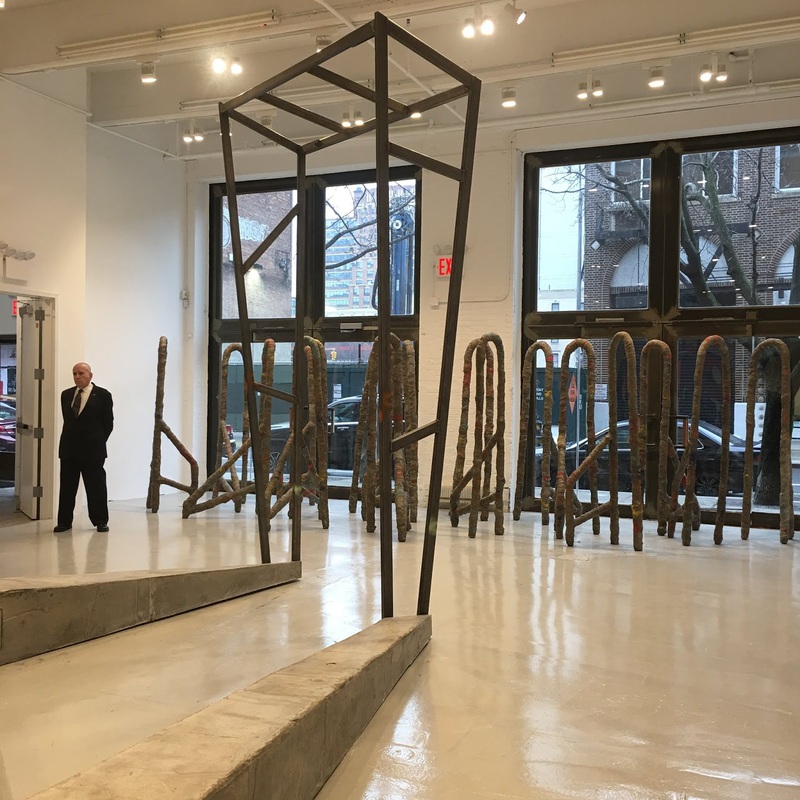 ‘tilt’ marks a new stage in Barlow’s practice, as she shifts her focus from the immersive built environments of her past presentations – which often riffed on the architecture of their installation spaces, transforming their surroundings – in favor of more autonomous, stand-alone sculptures that invite viewers to consider the works on an individual basis. 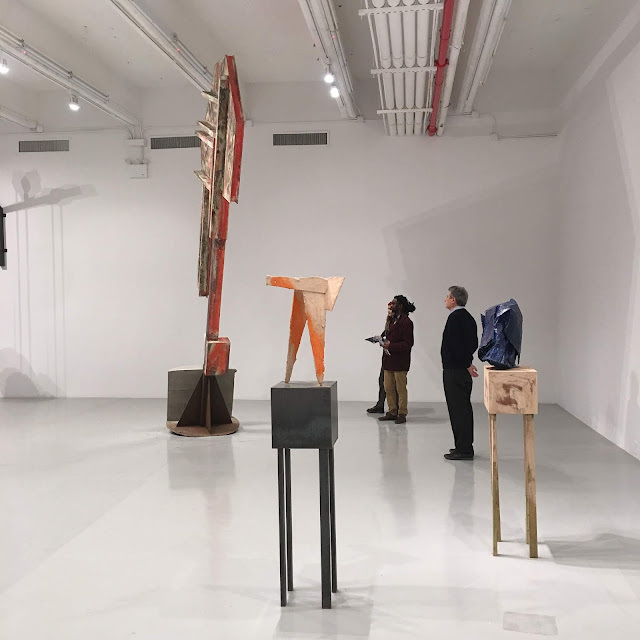 They block, straddle, and balance precariously throughout the gallery, challenging viewers into a new relationship with the sculptural object. 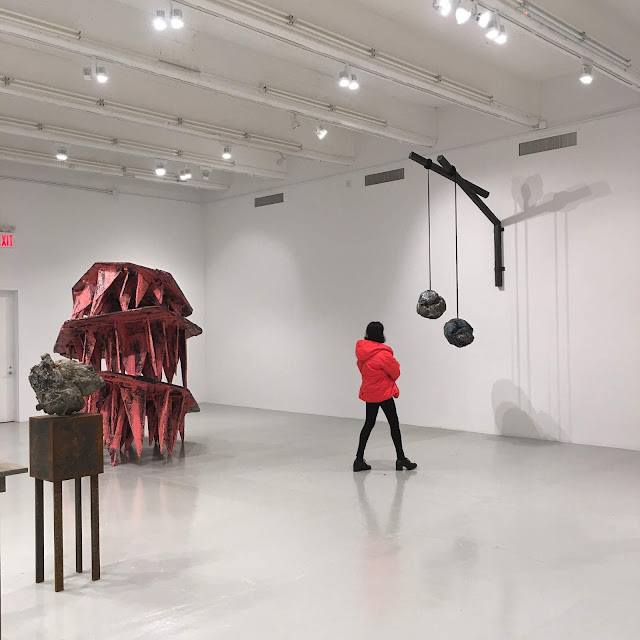 At once menacing and playful, imposing and delicate, additional large-scale works on view stretch the limits of mass, volume, and proportion, drawing visitors into equally intriguing physical encounters. 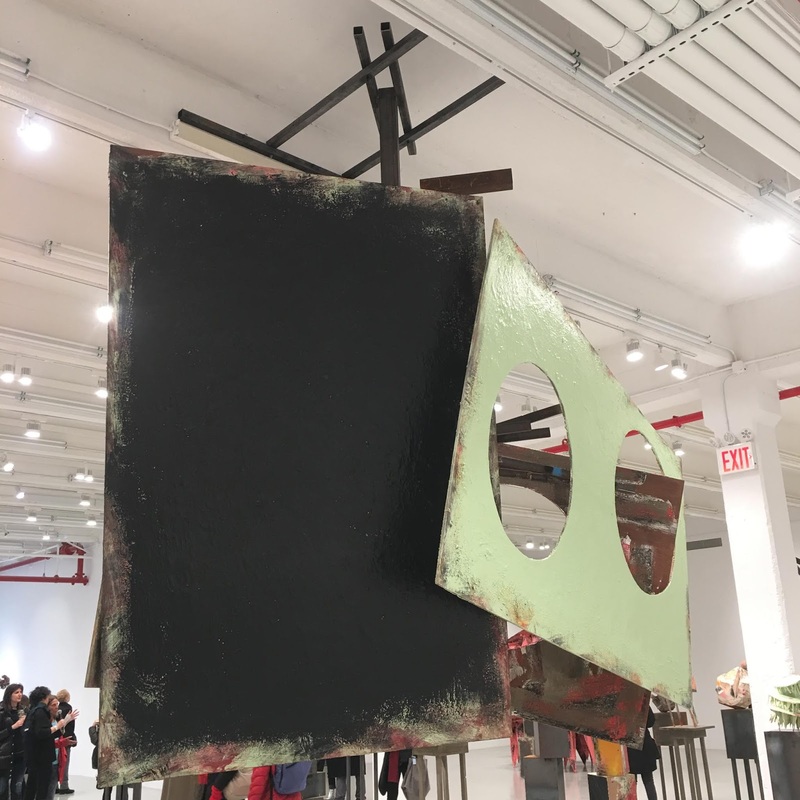 Barlow’s enormous ‘untitled: hung4; 2018’ suspends from the gallery’s ceiling, while her ‘untitled: female (2); 2018’ stands more than ten feet tall, towering over the gallery space. 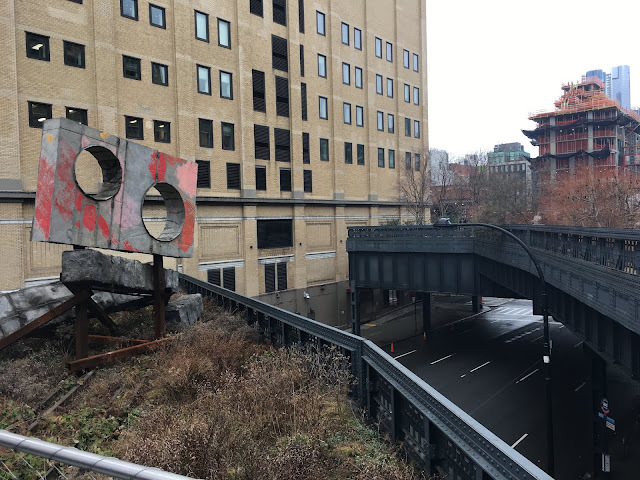 Elsewhere, the restless, arched forms of ‘untitled: boundfence; 2018’ and the colossal ‘untitled: sign; 2018’ hint at objects that typically direct or impede our movement through the urban environment. 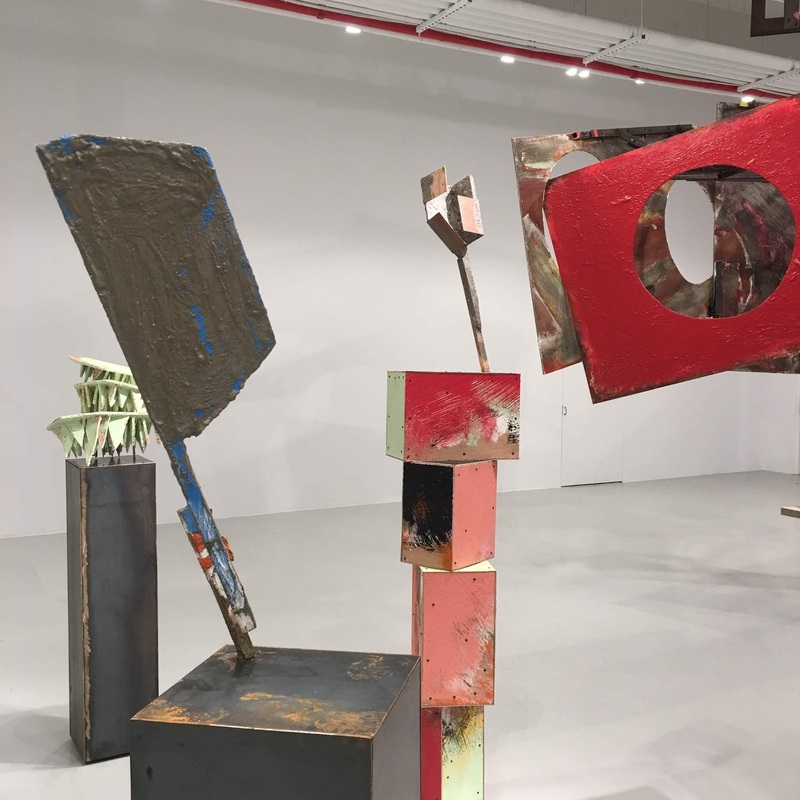 At the center of the gallery are new small-scale sculptures that provide a powerful counterpoint to the massive constructions that surround them. Here, Barlow continues her negotiations of space by propositioning the viewer with a more intimate interaction. 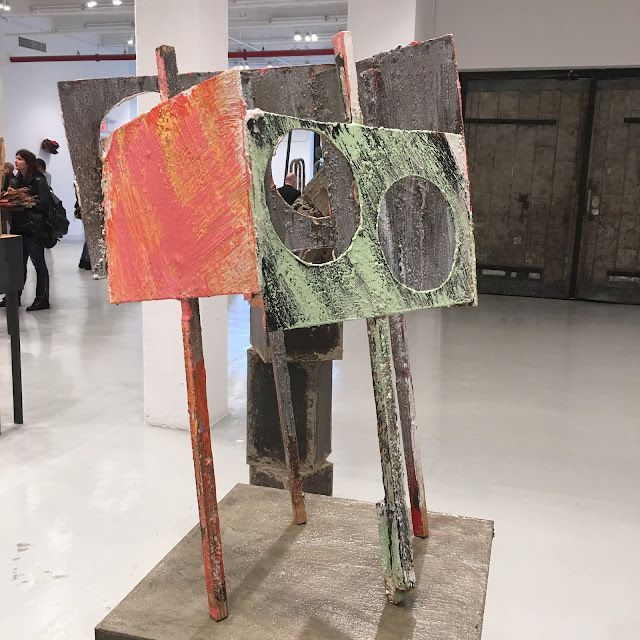 Standing between five and seven feet in height, works including ‘untitled: dancer; 2018’ and ‘untitled: slope; 2018’ appear totemic yet vaguely anthropomorphic. 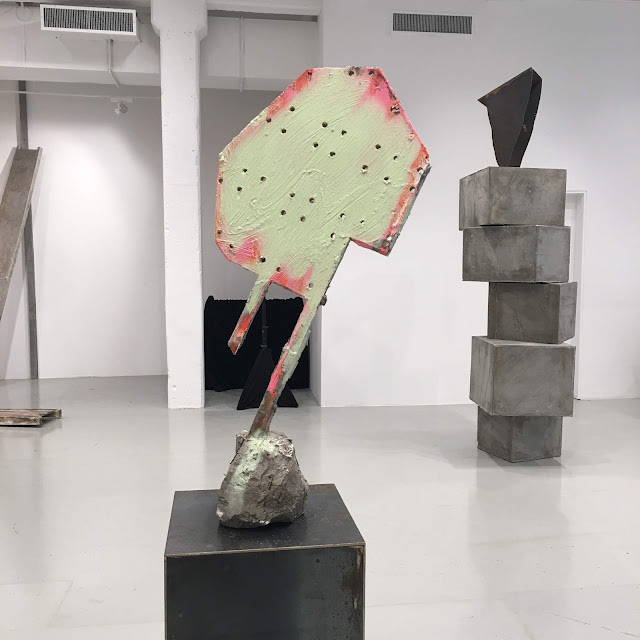 Barlow’s plinth sculptures, such as ‘untitled: sleeve; 2018’ and ‘untitled: pointer; 2018,’ play on notions of classicism and perceived value, their roughly made forms offering a lesson in what it takes for everyday objects to become art. Color animates their surfaces, rendering a delicate friction that engages the eye as it climbs from base to top. 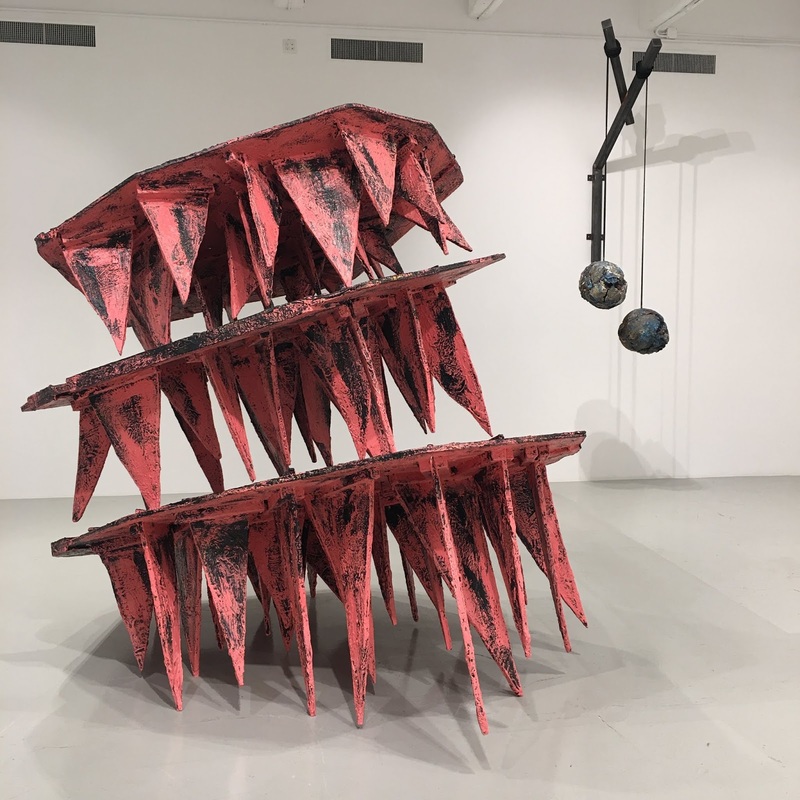 Together with the other works on view in ‘tilt,’ these precarious-looking sculptures critique monumentality while emphasizing the transient, absurd, and often joyous encounter between an object and its surroundings. For more than 50 years, British artist Phyllida Barlow has taken inspiration from her surroundings to create imposing installations that can be at once menacing and playful. 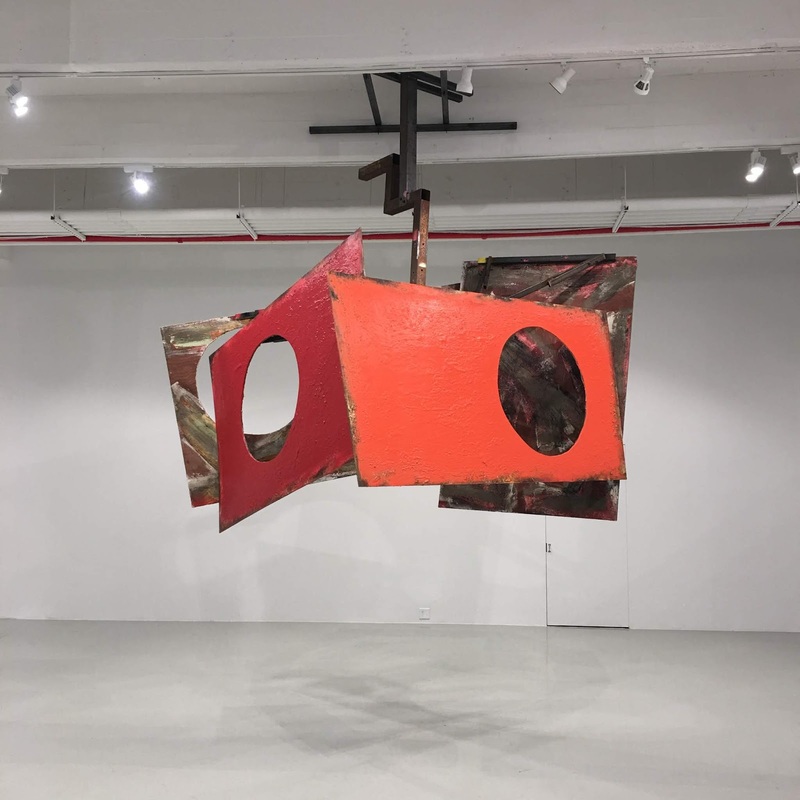 She creates anti-monumental sculptures from inexpensive, low-grade materials such as cardboard, fabric, plywood, polystyrene, scrim and cement. 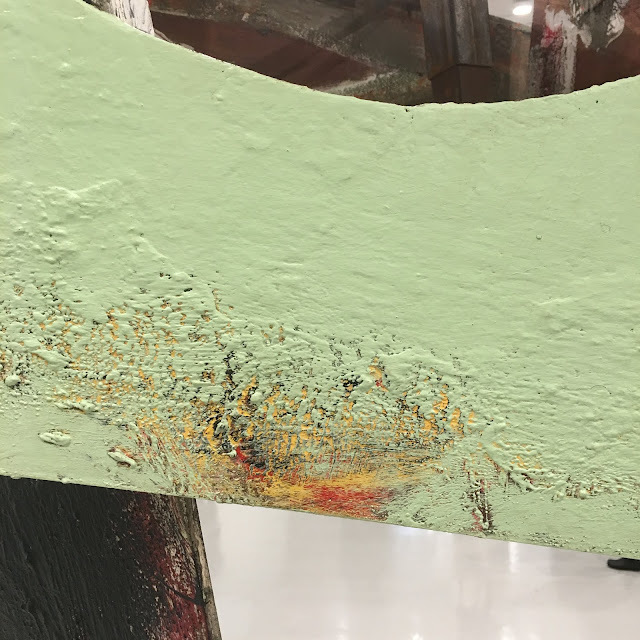 These constructions are often painted in industrial or vibrant colors, the seams of their construction left at times visible, revealing the means of their making. Barlow’s restless invented forms stretch the limits of mass, volume and height as they block, straddle and balance precariously. The audience is challenged into a new relationship with the sculptural object, the gallery environment and the world beyond. Barlow has exhibited extensively across institutions internationally and in 2017 represented Britain at the Venice Biennale.